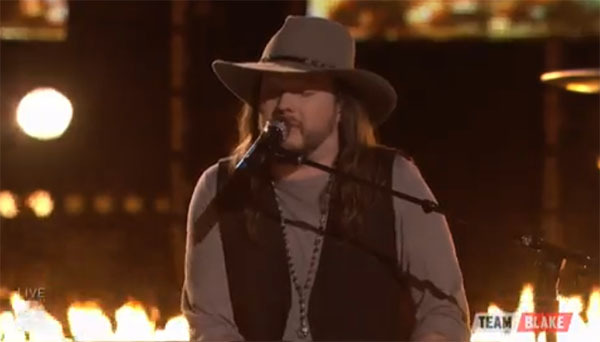 Adam Wakefield from Team Blake sings ‘Love Has No Pride’ on The Voice Season Top 9 Live Shows, Monday, May 9, 2016. “That was fiery. I love what you deliver. You always come out so soulful and so strong,” said Christina Aguilera. “What you just did right there was just your best performance. I’ll see you in the finale,” said Blake Shelton.